Looking for a great getaway? These spring break ideas for families will ensure a stellar vacation the whole crew will love! We are SO excited for spring break! 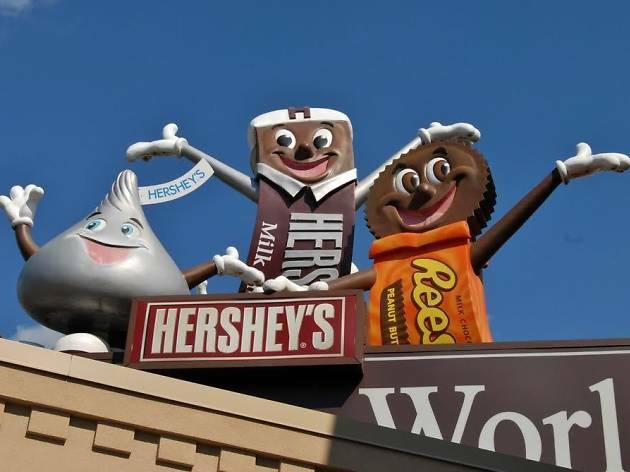 To help you make the most of your time off, we've compiled a list of pretty spectacular spring break ideas for families, including trips to Mystic, Hershey and Cape May! The destinations we settled on have it all—maritime adventures, amusement parks, historic museums and other great stuff to keep you busy. The only hard part will be returning home after your fun adventure away from NYC. Looking for more adventure? 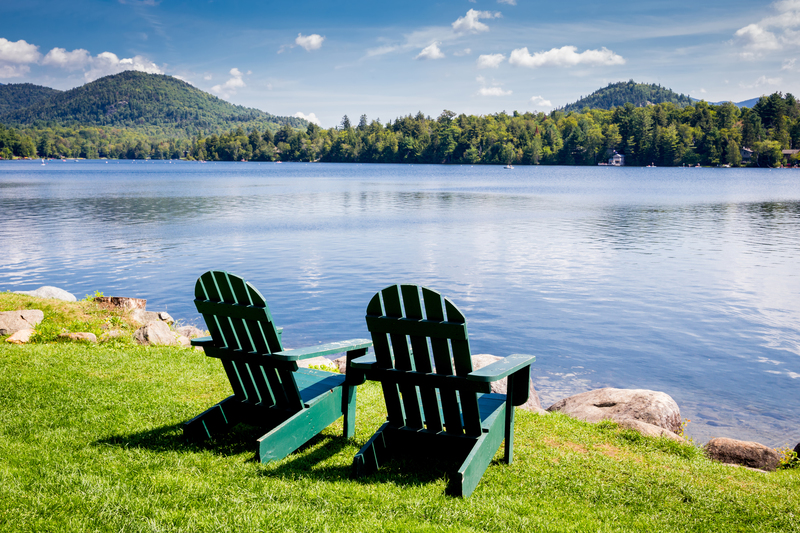 Check out these family weekend getaways or book a stay at one of these family resorts. Hurry! You'll want to visit Cape May before the Jersey Shore becomes packed over the summer. This beachy destination, located on the southern tip of New Jersey, is full of great spots for families and curious kids. 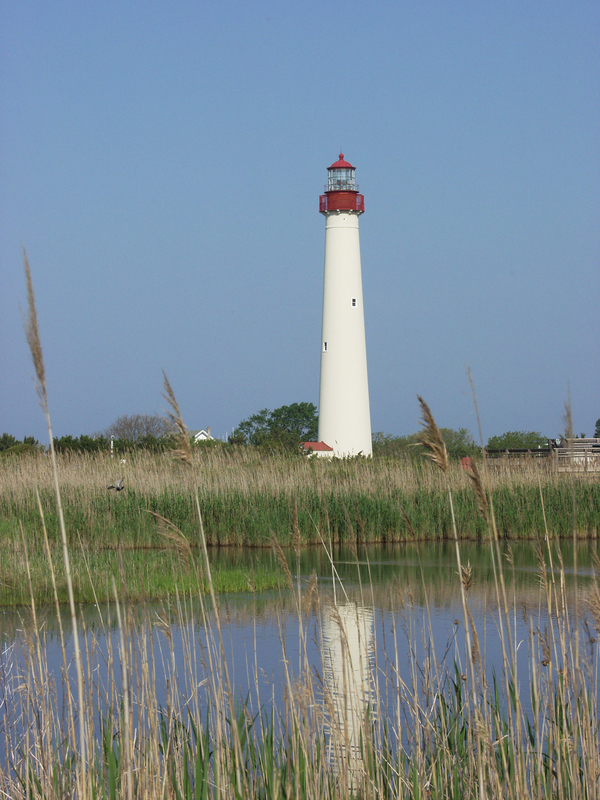 In addition to strolling along its white sand beaches, families might check out the remnants of the unusual S.S. Atlantus (made of concrete, one of 12 built during WWI), or ride the waves on a Cape May Whale Watcher tour (capemaywhalewatcher.com) Mar–Nov. 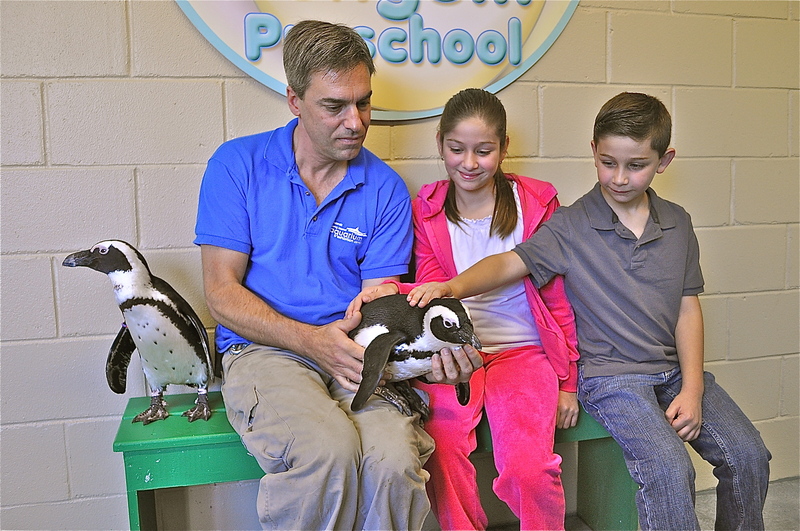 Don't miss the animals at the Cape May County Park & Zoo (capemaycountynj.gov), which has free admission and parking (you are also welcome to bring your strollers and wagons). 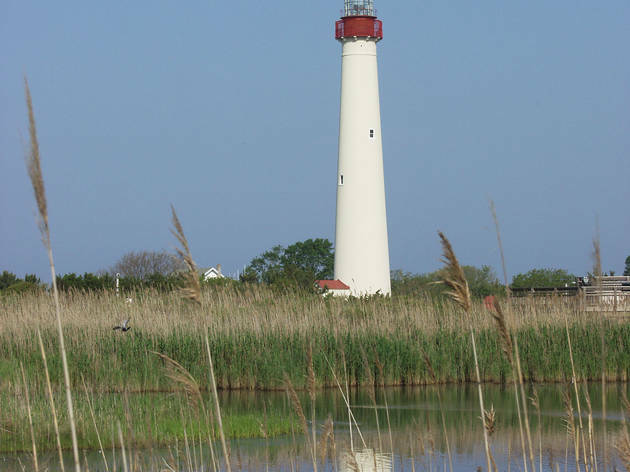 Last but not least, if you’re in Cape May on a day with clear skies, pack a picnic lunch and climb the 199 steps to get to the top of the Cape May Lighthouse. For lodging, consider hanging your hat at the family-friendly Beach Shack (caperesorts.com; reopens March 29). 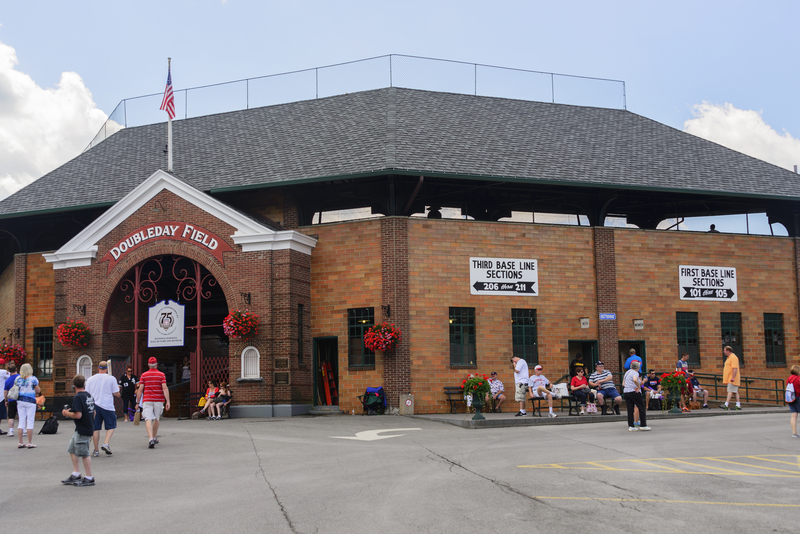 A trip to the National Baseball Hall of Fame and Museum (baseballhall.org)is the perfect place to learn all about America's pastime. 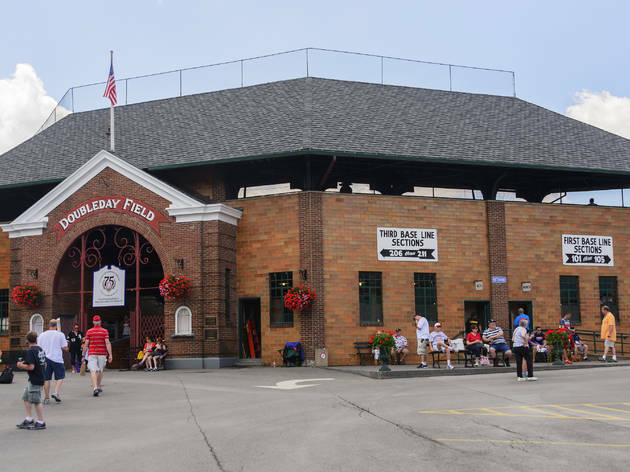 Catch a game up the road at Abner Doubleday Field or get a glimpse of your favorite players during a visit to the Heroes of Baseball Wax Museum (thisiscooperstown.com). However, baseball isn't the only attraction: Fenimore Art Museum (fenimoreartmuseum.org) features 20th century American decorative art, photography and American Indian art housed in an estate overlooking Otsego Lake. City children will get a taste of the village life at the Farmers’ Museum (farmersmuseum.org) where they’ll participate in hands-on activities, watch dramatic interpretations of historical events, feed animals in the Children’s Barnyard and more. Don't forget to stop for freshly-made cider at Fly Creek Cider Mill & Orchard (flycreekcidermill.com) before tucking in at The Cooper Inn (cooperinn.com). This Suffolk County town boasts more than just the sprawling Tanger Outlet. 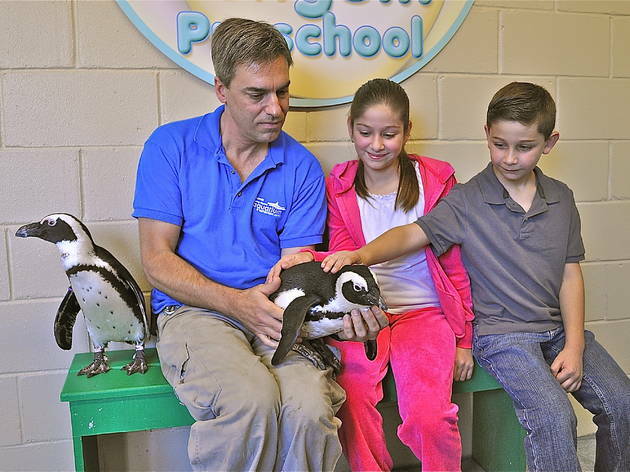 It's home to the Long Island Aquarium, (longislandaquarium.com) which houses penguins, otters, octopus and one of the largest all-living, closed-system Coral Reef displays. Children will love getting their hands wet at the touch tank and taking a look at the sharks (those who are brave enough can cage dive with them)! Refuel at Turkuaz Grill, a spot full of homey vibes, delicious Mediterranean fare and outdoor picnic tables (turkuazgrillriverhead.com). If the kids are itching to get into the water, Splish Splash Water Park satisfies that craving with 96 acres of water rides, pools and tube slides (splishsplash.com). Book a stay at Cove Place Inn when you're ready to call it quits for the day (theharborfrontinn.com). 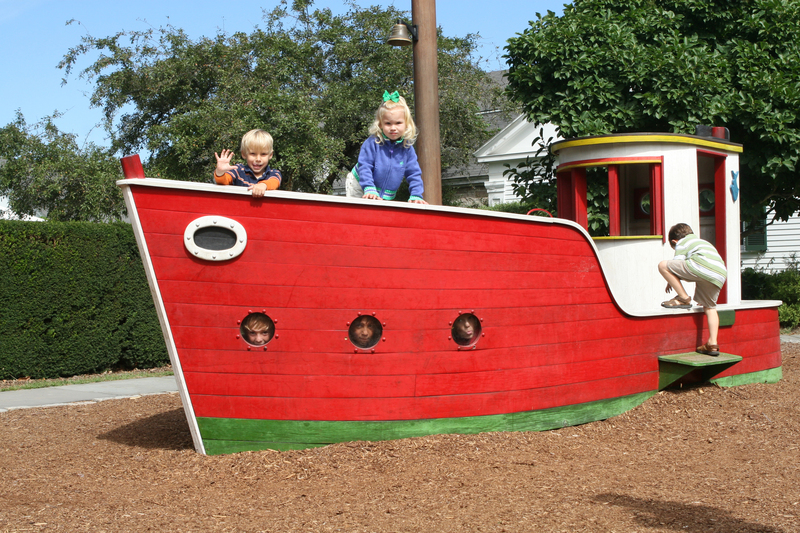 This seaside escape is full of maritime-related activities for families, such as the Mystic Aquarium (mysticaquarium.org). Can’t tear yourself away after the park closes? Families can register for an overnight stay where they’ll explore the grounds after hours, work on crafts and participate in a scavenger hunt before tucking in next to their favorite indoor exhibit. 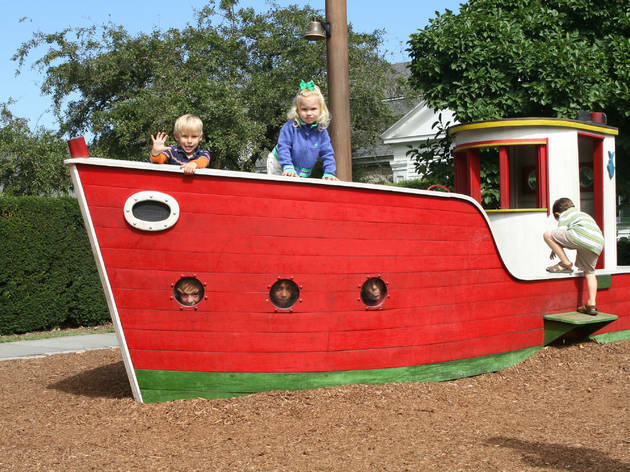 To explore the life of the sailors who roamed the seas, head to the Mystic Seaport where kids will learn to tie knots, create maritime art, climb aboard a fleet of playscapes and make toy crafts to take home (mysticseaport.org). Munch on lobster salad rolls, clam cakes and other light fare at the Galley Restaurant—there’s outdoor seating and an ice cream shoppe with house made cookie ice cream sandwiches to treat the tiniest of seafarers (mysticseaport.org). Kick your heels up at the Inn at Mystic (innatmystic.com). Whether your kids are into indoor fun, outdoor adventures or close encounters with their favorite TV characters, this spot has it all. 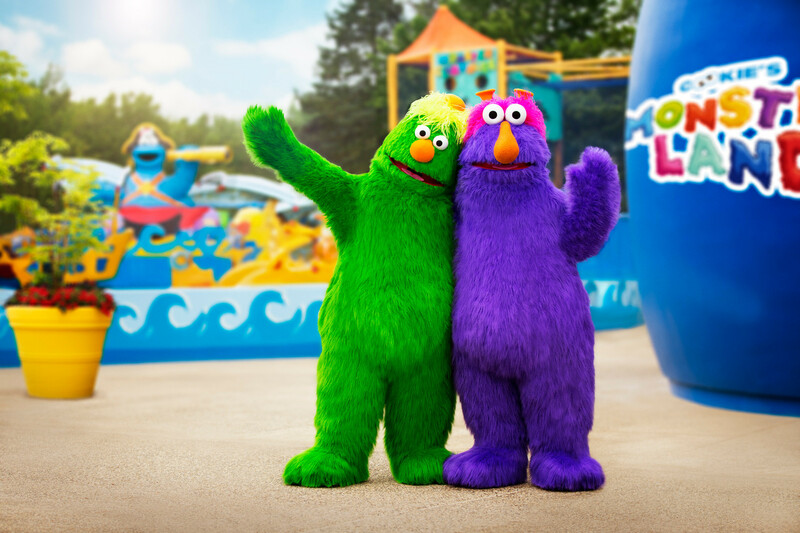 As the home of Sesame Place, children will love meeting Elmo, Big Bird and the rest of the furry gang while experiencing thrilling rides tailored just for them (sesameplace.org). 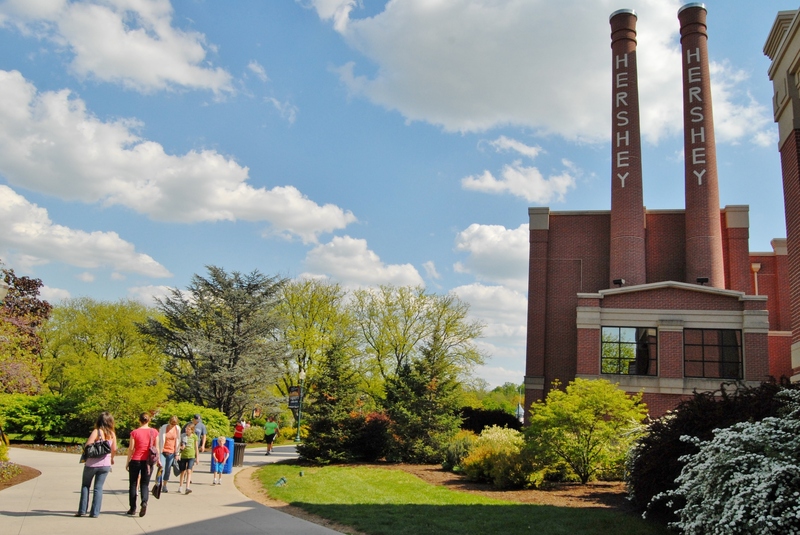 The Bucks County Children’s Museum offers interactive educational exhibits where kids can dig for buried treasure, design and build their own race car, learn how to operate the Delaware Canal system (buckskids.org). Little ones can take a ride on the hand-carved wooden figures on the restored 1922 Grand Carousel at Giggleberry Fair before enjoying arcade games in the Game Room or strolling through the shops at 18th-century Peddler’s Village. Giggles Discovers was made for the curious 6 and under set; with a fire station, make-your-own puppet show and the Waterway full of splashing activities, there’s no telling where their imagination will take them. Don't forget to make a pit stop at Giggleberry Mountain, an indoor obstacle course that’ll give you a run for your money (peddlersvillage.com). When hunger strikes, choose from the variety of dining options in Peddler’s Village. Outdoorsy types can explore the boulder field at Ringing Rocks Park (Ringing Rocks Road, 215-348-6114) or pitch a tent at the Colonial Woods Family Camping Resort (colonialwoods.com). If it’s a laid-back escape you’re looking for, hop on the New Hope & Ivyland Railroad for a 45-minute trip through the countryside on a 1925 steam locomotive (newhoperailroad.com). 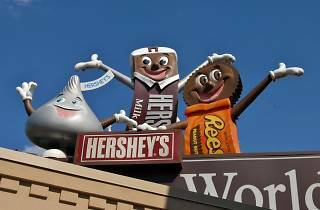 If any members in your crew have a sweet tooth, then a trip to Hershey Park when it opens in April is a must (hersheypark.com). 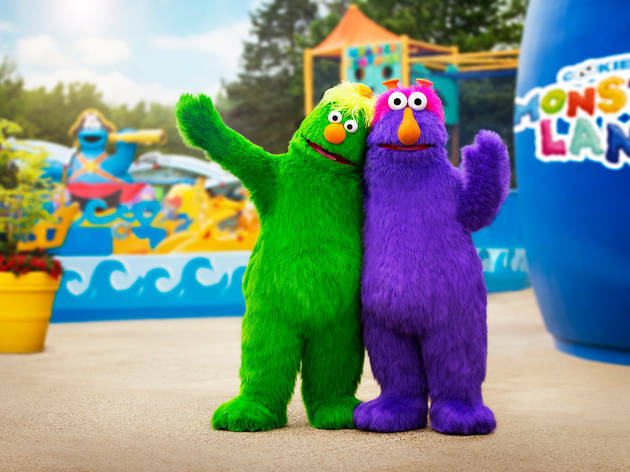 There are tons of rides for tykes, kids and tweens, including roller coasters, a railroad, Hershey Triple Tower, a dinosaur-go-round, a Ferris wheel—even a water park with tons of slides and water rides too! As for eats, Chocolate Avenue Grill will delight even the picky eaters (chocolateavenuegrill.com). 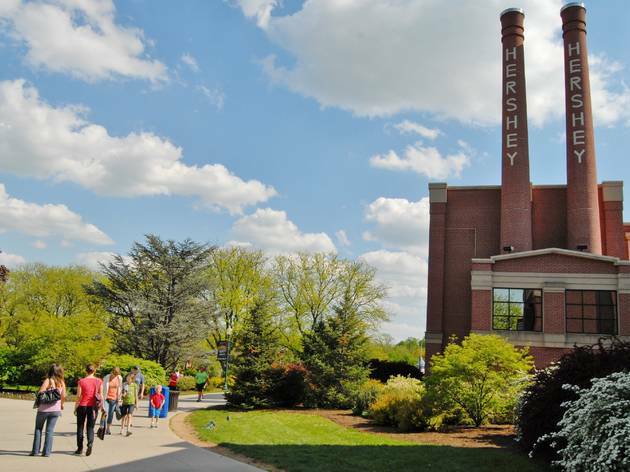 At the Hershey Lodge, kids get their own special check-in, sign a guest book, play a Hershey’s candy guessing game and receive their own personalized lanyard and chocolatey treat (hersheylodge.com). 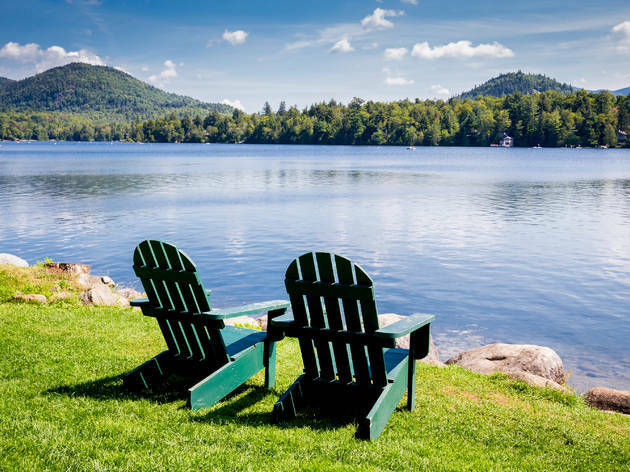 Lake Placid offers families a place to catch their breath with hiking trails, rock climbing, fishing and paddle boating. Kids will get a kick out of Bowlwinkles’ Bowling Alley, bounce house and arcade games (bowlwinkles.net). While you’re in the area, be sure to make a stop at High Falls Gorge for an amazing walk around four waterfalls. Afterwards, share some wings at neighborhood restaurant and bar Lisa G’s, or have the kids select from their own menu (lisags.com). Once the kids are tuckered out, head to your room at Cobble Mountain where their range of cozy room and cabins can host families of all sizes (cobblemountainlodgellc.com).